The presence of large-scale Ekman pumping associated with the climatological wind stress curl is the textbook explanation for low biological activity in subtropical gyres. Using an idealised, eddy-resolving model, I show that Eulerian-mean Ekman pumping may be opposed by an eddy-driven circulation, analogous to the way in which the atmospheric Ferrel cell and the Southern Ocean Deacon cell are opposed by eddy-driven circulations. The lack of substantial Ekman downwelling through the thermocline motivates a novel 2-layer idealised model for nutrients in subtropical gyres. Through a series of parameter sensitivity experiments I find that this toy model predicts an increase in productivity when the mode water layer is thicker, and that the residual Ekman pumping velocity modulates this sensitivity. The predictions from this simple model are then tested against observational data, which are consistent with the predicted relationship between mode water thickness and productivity, as well as a small residual Ekman pumping velocity. 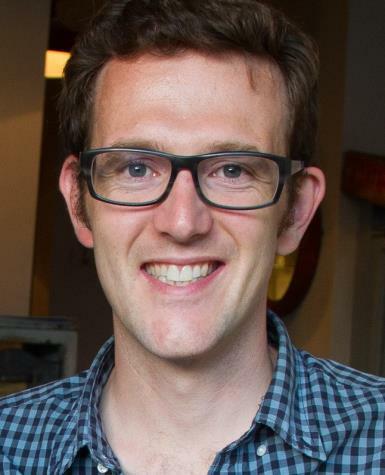 Edward Doddridge is a Postdoctoral Associate working in the Marshall Group. His research focuses on improving our understanding of the fundamental dynamics of the ocean, and the ocean’s role in the climate system. He is currently working on the Southern Ocean, examining the interactions between the atmosphere, sea ice, and the ocean.